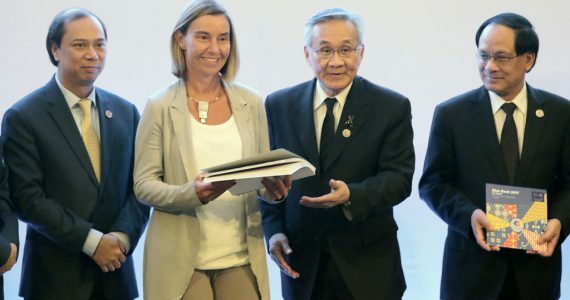 In 2017, the Association of Southeast Asian Nations (ASEAN) and the European Union (EU) have adopted the ASEAN-EU Plan of Action for 2018-2022 that has the aim to strengthen and enhance the ASEAN-EU partnership. Among other crucial points discussed under the plan, the cooperation intends to promote capacity building and to support ASEAN’s efforts in strengthening democracy, good governance, the rule of law and judiciary systems through the sharing of experiences and best practices. However, implementing these objectives is not as easy as “reversing the hand”. There should be a strategy that can support the implementation of the goals – such as e-government. Nowadays, the rapid development of new and emerging information and communication technologies (ICTs) accelerates new opportunities for growth and development in countries around the world. The phenomenon has encouraged the idea of benefitting from the potential offered by these new technologies and to create a new dimension of political progress through e-government. In order to support the implementation of e-government in the ASEAN region, the role of research collaboration between research teams from ASEAN states and the European Union should be taken into consideration. Based on the extensive and developed research experience in terms of digital public services in Europe, the research collaboration can facilitate the development process of e-government and also lead to research development in digital expertise in the ASEAN region. The expected demographic dividend in the ASEAN region is dominated by a tech-savvy youth that is concerned about government activities supporting the implementation of Sustainable Development Goals (SDGs). Based on this, the idea of e-government should also be considered for developing policies that support the goal of the ASEAN-EU Plan of Action to promote capacity building and to support ASEAN’s efforts in strengthening democracy, good governance, the rule of law and judiciary systems. This can be reached through sharing of experiences and best practices and will support the implementation of the Sustainable Development Goals.